Patreon is a website where you can become a patron of the All Over the House; helping us keep the comic running. It’s also our chance to give you extras. 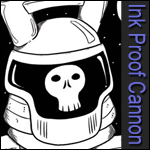 Things like larger sized comics (we publish them at double the size on Patreon, making the art look even better and the text even easier to read) and the original sketches for each comic (so you can see how the comics started out – it’s usually not the same as how they look when finished!). All Over the House has been running for almost ten years, delivering the best comics we can produce, direct to your browser. Written by Jennifer Kirk and Zoë Kirk-Robinson with art by Zoë Kirk-Robinson, it has been and always will be free to read here at alloverthehouse.net. We’ve been able to bring you comics for free because the website is supported by adverts and our store. Not everyone can support the comic this way however. Not everyone wants a book (or another book), so we have been looking for a way to help you help us continue to produce All Over the House. That’s where Patreon comes in. 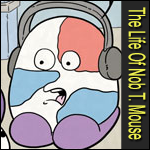 For $1/month you’ll get access to All Over the House and The Life of Nob T. Mouse at double the size they display on the websites. You’ll also get the original sketches for each comic as well as all the scripts for GameHammer, FilmHammer and any other scripted videos we make. If that wasn’t enough for you, you can get all the $1 content and more! Once a month, $20 supporters get sent something physical from All Over the House or The Life of Nob T. Mouse. It could be a book, a t-shirt, a signed print or something else entirely. It’s a little piece of the All Mouse Universe, direct to your door!